We did a lot of painting for the 2 snow days we had last week. 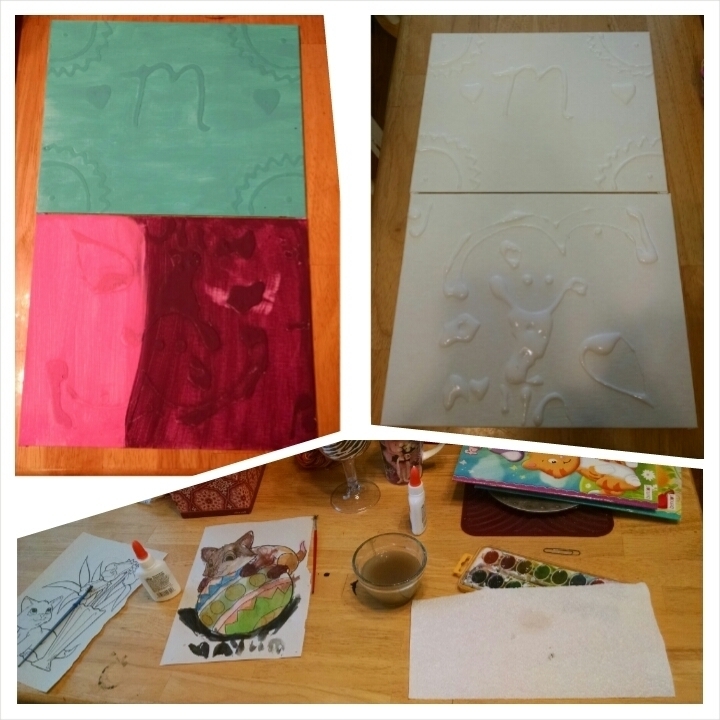 The big paint project we did was a thing I found on Pinterest, which didn't quite turn out how I had imagined, but it was unique and fun no less. It instructed us to put elmers glue on canvas, let it dry, and then paint the canvas all one color. But when I actually followed the link from the original pin the instructions were something entirely different. So due to lack of other supplies we stuck with the elmers glue. It turned out, and it was fun. Just not quite what I was expecting. Then the kiddo used up just about all of the water color paints we own. So we'll need to restock on those soon. With that, this momma is done with snow days. If we have any more, I will be having a rather stern conversation with Elsa. It was nice while it lasted, but that second day just about did me in. So, no more snow! Got that, Elsa? !